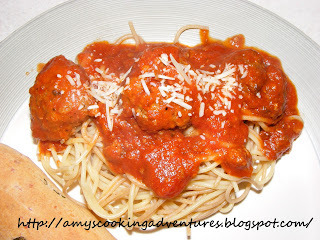 I decided to break out the slow cooker again with some spaghetti and meatballs. Are we seeing a theme here, Bolognese, meatballs…hmm...I will try to diversify in the future! This recipe ends up being a conglomeration of a bunch of different recipes. It is based off of this one from allrecipes.com. But I wanted to add a little more sausage flavor, so I added more spice. Then, since I use homemade bread crumbs, I didn’t have any Italian bread crumbs on hand, so I added more spice. You get the picture. One other thing I did differently was par-cook the meatballs. I swore I would never do this – my thinking “why would I spend time cooking something that is going in the slow cooker?” However, after researching the topic, I found that not only can par-cooking improve the flavors, but also it help to cook off some of the fat before the meat goes into the slow cooker. Of course, you can always strain the grease off at the end, but that is time consuming as well. 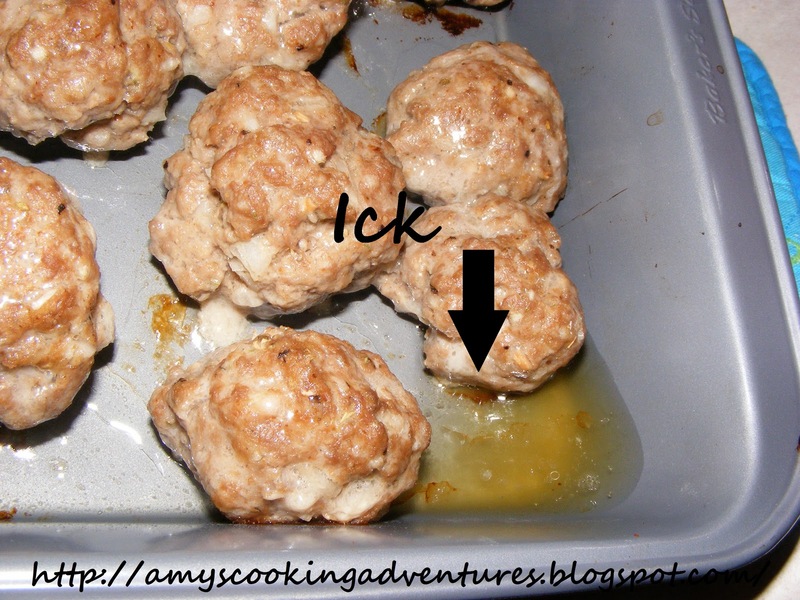 Here is a picture of the ick—bleh, I’m glad I par-cooked! This recipe ended up making about 8 good sized servings. It was very flavorful. It is a nice comfort food meal that comes together quite quickly and is delicious served over whole wheat pasta. In a bowl, mix beef, bread crumbs, garlic, onion, egg, paprika, and black pepper. Shape into meatballs. Bake in a 350 degree oven for 15 minutes. You can skip this step, but then you will have a lot of grease to strain off the sauce. 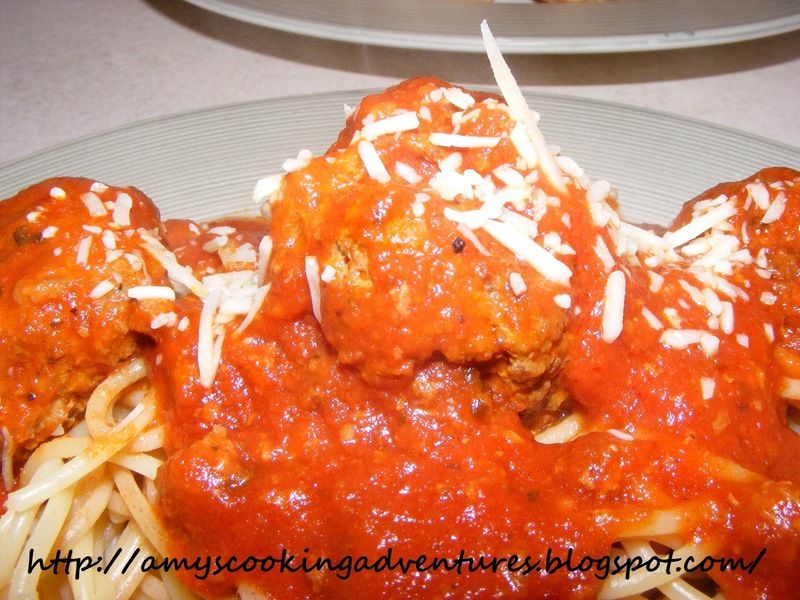 In a slow cooker, mix the spaghetti sauce, crushed tomatoes, and tomato sauce. 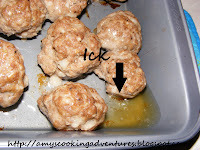 Place meatballs into sauce mixture and stir. Cook on low for 6-8 hours. I made these the other day for my new in-laws and they were a complete hit! I think the paprika gives it a nice flavor boost. Delicious!